2019 Celebrate Tualatin Winners Announced! Wow! Celebrate Tualatin is one of our favorite events for so many reasons! We are humbled and honored to have so many outstanding members. We think all who attended can attest that last week we had a positive, uplifting, and humorous afternoon together. Thank you to all the nominees, sponsors, and volunteers for making this event possible. The award recipient is selected by the Ambassador Team. Selecting one Ambassador is not an easy task as we are fortunate enough to have a dedicated team of individuals who are committed to supporting each other and the Chamber and give generously of their time to welcome new businesses into the community and this organization. This year’s Ambassador of the Year is someone who has done all of this and more. This person not only provided great care and passion, but also did it while leading a large team with many moving parts. They handle their position with finesse and are always quick to respond when called on. Chamber Volunteer of the Year – Valia Eskandari, Edge Graphics Co.
Ride Connection is a non-profit organization that provides the community of Tualatin with free access to transportation through a variety of options. Ride Connection’s door to door services help seniors and people with disabilities access the goods and services they need to survive and thrive. In 2018, Ride Connection provided 3,000 rides to individuals helping get to their medical appointments, the grocery store and to other critical appointments to maintain their health both physically and socially. In addition, Ride Connection operates the Tualatin Shuttle, which is a free ‘deviated, fixed-route’ service linking WES Station to employment destinations in the Tualatin area. This free shuttle fills the gaps to public transportation and allows individuals to access their employment and other stops ​without the need of a personal vehicle. Last year Ride Connection provided over 28,000 rides through the Tualatin Shuttle! Ride Connection helps the community of Tualatin to keep moving by providing transportation options to those who may not have access otherwise and makes it a better place to live. Spirit of Tualatin – Medium/Large Business – Key Knife, Inc.
Key Knife manufactures custom chipping, flaking, and planning solutions for the global wood products industry. Their innovative indexible knife systems and service programs help mills to improve recovery, product quality, production, and operating costs. Key Knife embraces the Chamber’s motto of Business and Community Working Together. Whenever possible, they do business with local companies and Chamber members such as Express Employment Professionals, Thermal Modification Technologies and Dalton’s NW Catering. Their VP of Finance, Les Boatsman, is a Tualatin resident, and has been president of the Tualatin Lacrosse Club for several years. Thus, Key Knife has supported that program through hosting meetings and raising funds. They also encourage their employees to volunteer in the community and you can see them supporting: Tree planting in Tualatin Parks, Tualatin Wildlife Refuge, food drives for the Tualatin School House Pantry, the Good Neighbor Center and several more. They are very proud to have been pioneers in developing the disposable knife system for the wood products industry and now in their 33d year, they continue to be the leaders. They successfully transitioned from the founding shareholders to employee ownership, survived the great recession of 08-09 that seriously impacted our industry and rebounded to be stronger than ever, and continue to innovate and improve their product offerings. Key Knife embodies the Spirit of Tualatin through all they do. As an employee owned company, their mission and values drive their culture, expectations and behaviors. Employees and managers have a voice which by working together has created a great place to work. Since the mid 1990’s Charlie Sitton, one of the owners of the Century Hotel and later Hayden’s Lakefront Grill has been a familiar presence in our community. At 6’8”, Charlie, a former basketball player for Oregon State University and the Dallas Maverics, is hard to miss. However, it’s the amazing relationships he’s made with our local community that has allowed the independent hotel and restaurant to survive the ups and downs of our changing environment. Today there are over 100 places to buy food in Tualatin and he’s most proud of being able to survive as a free-standing hotel/restaurant against the national franchise businesses. Charlie credits their success to the wonderful people he has been able to surround himself with. Thanks to his long-term employees and partners he’s been able to receive and implement terrific expertise on areas that he many not be the expert in. They are now considered to be a landmark in the community and the longevity has allowed people get to know, like and trust that the Century Hotel and Hayden Lakefront Grill will always offer great lodging and quality food for a fair price on the beautiful Lake of the Commons. From the beginning, community service has been a part of their model. Although they can’t do everything they’ve been able to support many local organizations and there’s no doubt that he has a soft spot in his heart for youth sports since they played such a positive part of his own life experiences. He’s also been actively involved in supporting Chamber events, programs and tourism marketing initiatives. Charlie says, “it’s been a good run and they are thankful for the foresight of community leaders who imagined and built the Lake of the Commons.” It’s also been fun to see that some of the young people who started working with him in the beginning are having kids who are now working for him. Additionally, “a cool part about the job is that every day is a new day. You never know who you’re going to run or who might come by to say hi”. Glenn and Amanda from Tutor Doctor joined the Tualatin Chamber in 2018 and immediately made sure they got involved where they needed to. Attending regular AM Networking events, learning about our workforce development programs, and making mutually-beneficial connections with members. Tutor Doctor provides personalized in-home tutoring at a time when the student is available. Their team also works with students on organizational skills, test anxiety, learning disabilities, etc. The tutor and program created are personal to every student and support them in furthering their education long-term. Glenn is a regular volunteer at Hazelbrook Middle School with the Tualatin Chamber STEAM Team program. Additionally, Tutor Doctor has supported the Veterans of Foreign War Auxiliary by becoming a sponsor of the annual Memorial Day Picnic and donating magazines to the Auxiliary that are delivered to veterans at the VA hospital in Portland while they recover from surgery. Glenn and Amanda share a passion for getting involved in the community, especially when it relates to students and children. If you’ve attended one of our AM Networking, you have met Doyle Dillon. One or most engaging and visible volunteers, Doyle contributes to member events and supports others selflessly. He conducts his volunteer work with “professionalism yet appropriate humor. He keeps an eye on time but is always respectful to speakers. He is efficient and helpful regarding business and nonprofit announcements. I look forward to his ‘turn at bat.’” Whenever called on to volunteer for an event, his response without hesitation is, “tell me what time and where and I’ll help however you need me.” Doyle is one of our most reliable volunteers, and truly cares about the work he does. Additionally, Doyle regularly gives and receives shout outs, the latter being a testament to how he helps people and does business. And, he meets with and supports members enthusiastically. “To me, the ‘poster child’ for a selfless volunteer is Doyle Dillon. He is an excellent role model for others and [an] impactful contributor to our Chamber and community. Last year Dr. Jordan celebrated 30 years in practice in Tualatin. He has served on the City Advisory for 30 years, was on the Urban Renewal Committee, and instrumental in bringing the lake to the Commons. He has coached youth sports teams for 15 years (at least 175 teams over the years). Dr. Jordan was acting President of the Oregon academy of General Dentistry for two years and just signed a lease in Tigard to open a clinic for continued education within community service for the dental community. Dr. Jordan is very involved with the Tualatin Rotary which took him to Brazil twice opening dental clinics. He also visited India last year with students with a make-shift clinic that served an orphanage (which included children he sponsors). Dr. Jordan is involved with supporting Head Start kids (low-income seniors). He regularly provides these students with free dental services, dentures, and more. Dr. Jordan is someone the Tualatin Chamber turns to as a resource for supporting continued education in the dental field. We have directed many students to him, and he has given them knowledge, resources, opportunities, and more. Furthermore, the entire team of 8 at Family Dentistry has been there for 26 years or more. When speaking with his team, they shared how exceptionally kind Dr. Jordan is, how he takes care of his team, and how they have never worked for or with a kinder person. Bill loves Tualatin, the community and the people and is grateful for the place he chose to call home. Robert Kellogg, Robert E. Kellogg, P.C. When you walk into our local Banner Bank branch, you’ll notice that it isn’t like most banks. They are a neighborhood bank with bankers who know our names and care about the financial success of Tualatin community members. Furthermore, they support the communities where they do business. For example, every September, Banner Bank branches collect non-perishable food items and cash donations to support the Tualatin School House Pantry. September is a time when supplies often run low and are greatly needed. Additionally, Banner Bank contributes financially and through volunteers to “organizations that provide shelter or housing.” More specifically, employees support many Habitat for Humanity projects across the Pacific Northwest. Banner Bank employees were also active volunteers and fundraisers for the Tigard-Tualatin Relay for Life supporting the American Cancer Society. And of course, Banner Bank is a regular sponsor and supporter of Tualatin Chamber events. Banks who support and invest in their communities help us thrive. Banner Bank is an exceptional example of this. We will never be able to truly repay our first responders for the life-saving work that they do. On our worst days, these brave men and women are there, often risking their lives for us. Firehouse Subs takes that gratefulness a step further and supports our first responders in their never-ending need for more resources. A portion of all Firehouse Subs locations goes to the Firehouse Subs Public Safety Foundation and is used to provide equipment, training, and support to our hometown heroes. Not only do they donate, but most of their customers donate as well by rounding up to the nearest dollar with each purchase. By being the liaison for seemingly little donations, Firehouse Subs harnesses the good in the community and turns it into major contributions. Since 2005, first-responders in Oregon have received over $273,746. A trip to Firehouse Subs is so much more than a delicious sandwich and award-winning customer service, it’s a contribution to Tualatin. CUI is an electronic components manufacturer specializing in a diverse range of product technologies. As a leader in power electronics, they support their customers as they strive to improve the energy efficiency and environmental credentials of their application. CUI’s original founding owner had a philanthropic attitude of investing in the community, whether through donations or direct involvement, it has always been important to them. Their Core Values of: relationships, excellence and service are at the heart of who they are as a company. They recognize their potential to give and are thankful for all the opportunities they have had to share with their global community. It’s been good for their employees, company and community. CUI employees regularly serve our community with their time and talents both in teams and as individuals to put their core values into action. Each January CUI offices shut down on Martin Luther King, Jr. Day and the company spends their time volunteering at local charities to give back and build relationships within their community. Throughout the year CUI employees volunteer with the Tualatin School House Pantry, Tualatin Rotary, Tualatin Chamber and the Tualatin STEAM Team, Tualatin Library, Friends of the Trees, Cat Adoption Team, and Hands On Greater Portland to connect employees with local volunteer opportunities. They’ve also discovered its great for team building which has led to high employee retention. Employees feel safe with a sense of belonging and are surrounded by a stable environment. Additionally, who they are extends to their customers. CUI looks to create long-term partnerships, not short-term transactional relationships. They realize that their customers are what drive their business, so they do everything in their power to see their partners’ success through to fruition.” One of their largest distributors has been with them for over 30 years, and they continue to be recognized as that company’s best partner. Most people don’t know this, but Tualatin does not allow car lots within our city limits. We therefore look to communities around us to provide those products and services. Family owned and operated, Landmark Ford Lincoln has supported Tualatin and Tualatin has happily reciprocated that support for almost 40 years. With their high standards for customer support, they have also grown to be one of the top 300 dealers in the United States out of about 16,000 dealers for total dollar volume as ranked by Wards. Additionally, their customer satisfaction as rated by Ford is among the highest in the northwest and has earned them multiple President’s Awards. Throughout their growth from 32 employees in 1979 to 227 today, they are most proud of the longevity of their employees with many reaching between 20 and 30 years. And, thanks to their great employees they receive many repeat customers and referrals from their customers. Thanks again to their great employees, they have also won virtually every award Ford gives. Landmark Ford Lincoln has been a wonderful partner with the Chamber through their membership and sponsorship of events and programs. A good example of their partnership came one year due to losing our annual sponsor for the “Hole in One” car give-a-way at the Swing for the Wolves/Crawdaddy Open Golf Tournament. Late in the game, we approached Landmark Ford Lincoln and they immediately stepped up to be the sponsor and have done so ever since. Additionally, they actively support our schools and local area non-profits such as their “Driven to Give” event with the TuHS Packbackers which raises over $8,000 annually. Ryan Miller’s longevity in business has allowed him to look beyond the simple transaction of insurance and use the experience of his team to look at the entire picture, to create solutions that best serve the needs of his clients. Additionally, he and his team have built a supportive culture that is best defined as Servant Leadership! He has continued to support the Tualatin business community by volunteering as a former Chamber Board member, Chair of the Thrive Business Team on various committees and by investing in sponsorship opportunities. Ryan has demonstrated a consistent commitment to the Tualatin community. He has participated and supported the local Veterans of Foreign Wars Post, many little league teams, the Tualatin School House Pantry, programs for at risk kids, blood drives and so much more. In 2014, Miller Insurance was recognized for the Spirit of Tualatin Award. Ryan said it was one of his proudest moments, to have been recognized not only for his work but also for continuing the great work of his father. It was a very emotional and humbling experience. When he started, many people in the business told him that his greatest reward would come from the relationships that he would make. Now that he’s 20 years into the business, Ryan can see that they were right, it’s the relationships that represent his “Richest Measure of Success”. Safety is critically important in all aspects of the company’s operations whether in training for employees, education of consumers, or exceeding all regulatory requirements for pipeline safety. They continuously invest in their infrastructure by replacing pipes with the latest coated steel or poly which leads to high safety and reliability. Here locally, they also train first responders in safety at the Sherwood Facility. Integrity means being honest and ethical in everything they do and being true to their word. For six years, JD Powers, known for their independent customer service surveys, has awarded NW Natural the “Best in the West” Award based on receiving the highest score for Residential Customer Satisfaction amongst Utility companies. Caring is reflected in the importance of teamwork, family, and fun as well as in the valuing of diversity, community involvement, and employee volunteerism. They focus their efforts on Workforce Development, Environment, Children & Families as Risk and Affordable Housing. 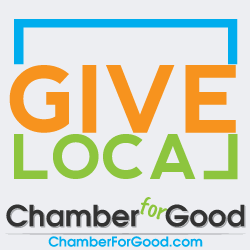 You’ll see them volunteering at the Pumpkin Regatta or Crawfish festivals and they’ve been a strong advocate, partner and Platinum Sponsor of our Chamber work and programs. Environmental stewardship is reflected in their commitment to conservation and a cleaner environment. Energy efficiency matters, it’s better for their customers, the economy and the environment. We could not be happier or prouder to support our business community with these and many more outstanding individuals and businesses. Thank you! This entry was posted in Celebrate Tualatin, Chamber News, Member News. Bookmark the permalink.